Near intersection of Avenue of Cities and 19th Street. 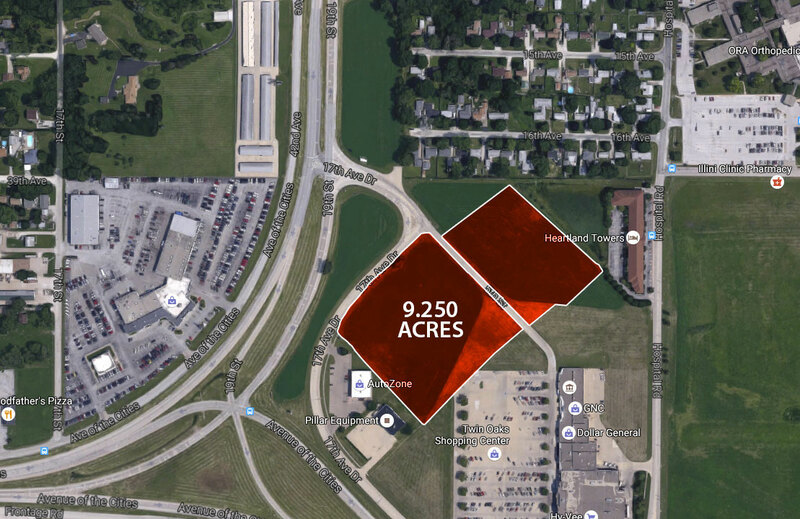 9.25 acres lot, zoned commercial, available in growing Silvis area. Parcel ID 068409. MLS ID 7035753.